Yesterday it was Q's 21st birthday! Q is one of our resident house cats (we're sure most of you have met this sweet little man) who's been bossing around all the other house cats for quite some time - not to mention letting all the dogs know exactly what he thinks of them (lets just say he's not too fond of the canine species). 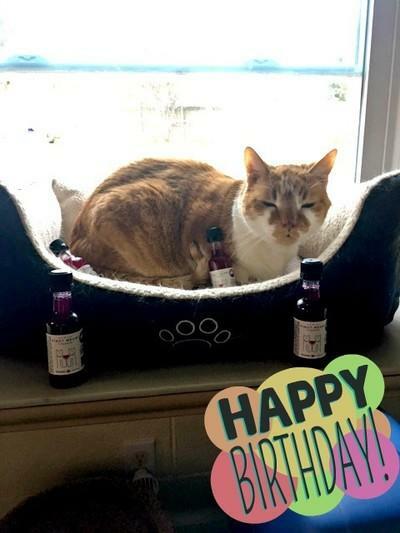 Since he's now legally allowed to drink, Shannon got him some Pinot Meow - a catnip infused drink for cats! We hope he has many more birthdays to come. We adore you Q!